Manufactured by Imhof and Mukle of Waldkirch, Germany. 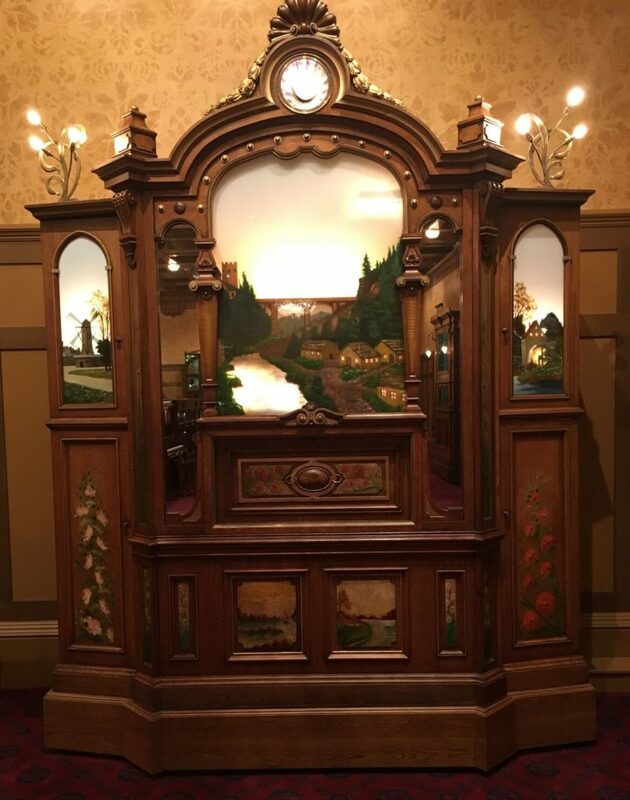 This impressive orchestrion has three moving scenes and a large original wonder light, in addition to a colorful oak art case. It plays special I & M rolls that resemble early cardboard book music.